"I'm an engineer with NASA here in Clear Lake. 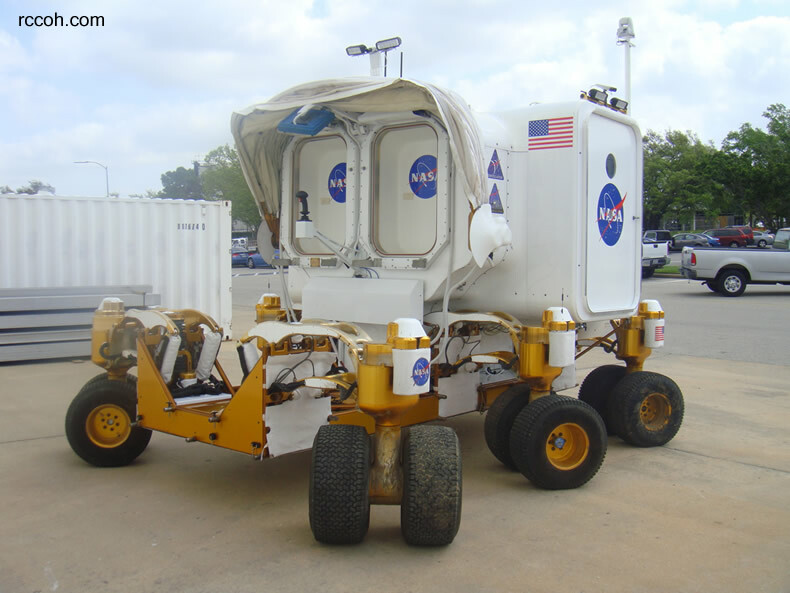 We are looking to purchase a rock crawler to simulate some lunar lander type qualities and have several questions. We are due to make this purchase in about a week or so for an event at the end of April. If someone would be so kind as to contact me it would be greatly appreciated. I first thought it was a friend playing tricks, or just a nut job, but being in the IT business I looked into it before replying and sure enough the IP was from a NASA.gov network. I replied and setup a phone conference. I spoke with 2 really nice gentlemen who were looking to build a rock crawler for demonstration purposes. 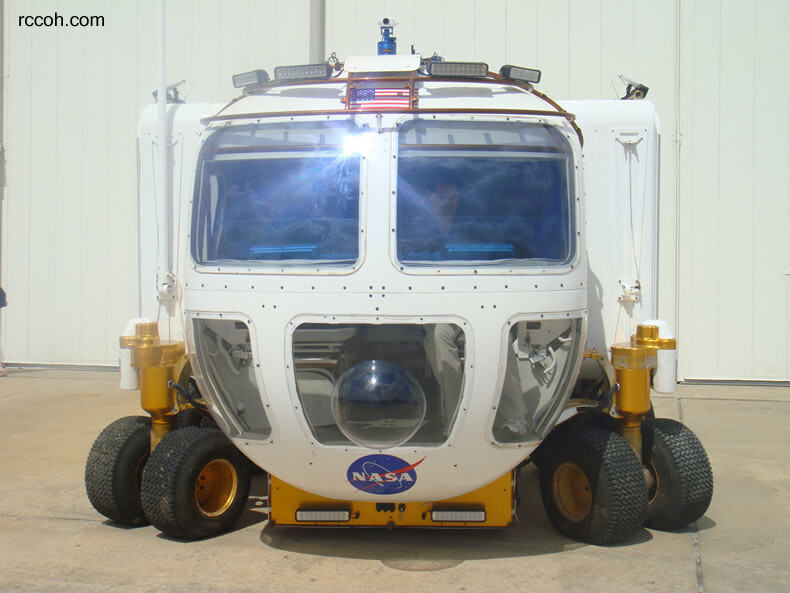 They would attach a plate to the top and place a camera there that would allow to them to show-off what they do, remote cockpit systems. I agreed to help them in anyway including letting them use my crawler for the first demonstration that would buy them a little time to get a crawler for themselves. I drove down one morning with my AX10 and met with them for a few hours. We tested the camera and realized that the 2.4g version conflicted with my 2.4g radio. A crystal based radio was not an option as we would be controlling this from a cockpit in the back of a van. The van was really cool. Pics on page 3. 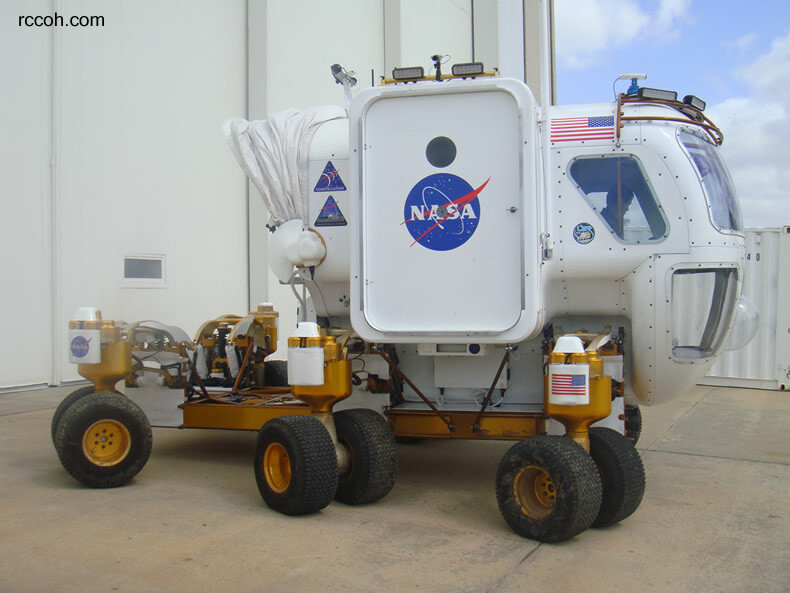 On the way out we were lucky enough to see the new NASA Electric Lunar Rover. Our timing was perfect as we actually got to see it moving around. Something special I gathered because there were a couple of dozen people around watching it and the engineer from NASA I was with seemed to be excited about it himself.